Glenda joined the firm in 2008 after a long career in H M Court Service where she attained the rank of Court Manager at Oswestry County Court. 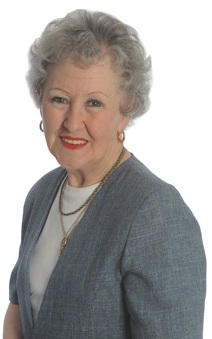 In the course of her career Glenda worked in every County Court in Shropshire as well as Welshpool, Wrexham, Mold, and Caernarfon . She has brought a wealth of experience & knowledge of debt matters to Wace Morgan and her clients appreciate her jargon-free style and her ability to adapt her approach to suit the circumstances of their matter. “I was delighted with the efforts which resulted in debt recovery – it was like working with a terrier”. “The solicitor worked hard to get the result needed”. “Excellent communication. Friendly service. Very approachable”. Glenda is passionately interested in foreign languages and in 2012 graduated from the Open University with an Honours Degree in French and German and in addition to continuing her study of these languages, she has now added Italian. In what spare time she has left, Glenda is a keen gardener and music lover and for 20 years was the drummer in her late husband’s band touring Shropshire, Staffordshire, North Wales and Merseyside – the only lady drummer for miles around! She has a son Anthony who is a concert organist, director of music and recitalist.